The subject of rivalries is one that intrigues the masses and stirs up the senses. And there have been some great rivalries of note in recent history. In football, we have Arsene Wenger and Alex Ferguson; in F1 racing, Michael Schumacher and Mika Hakkinen; and tennis has Roger Federer and Rafael Nadal. These are but only a handful of examples. In that same breath, in the realms of graphics card, there's ATI and NVIDIA. The bitterest of enemies, the two have been 'waging war' since the demise of 3dfx. Since the launch of the dual-GPU GeForce GTX 295, NVIDIA has followed up with the GeForce GTX 285 and GeForce GTX 275. Both of which are very quick cards. The GeForce GTX 285 cements NVIDIA's claim as having the fastest single GPU, whereas the GeForce GTX 275 is, on paper, the lovechild of the former and a GeForce GTX 260 Core 216, with specifications that lie between the two. ATI, on the other hand, has been rather quiet on the high-end front, with the Radeon HD 4890 being their only new offering. 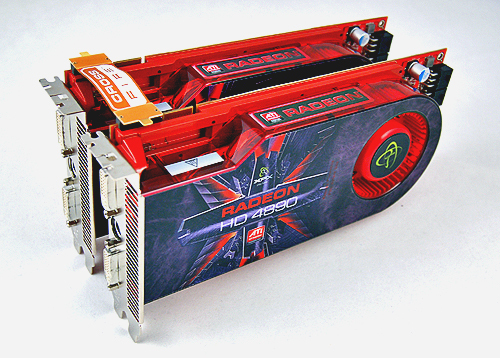 Essentially, a super-clocked Radeon HD 4870, it was also the first GPU in the world to be able to clock 1GHz at the core. 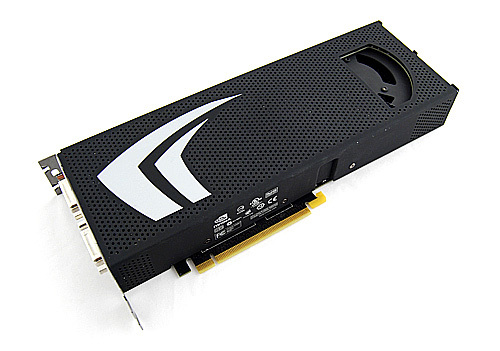 They also scored another world's first by releasing the Radeon HD 4770, the world's first 40nm GPU, but that's for addressing the mid-range segment. But let's not forget ATI's formidable but rather low-key Radeon HD 4870 X2 single graphics card with dual GPUs which can still pack quite a punch but not as fast NVIDIA's top dog. Today, we are reigniting the rivalry between the two companies by pitting their best offerings against one another. The NVIDIA GeForce GTX 295 might be the single fastest graphics card available, but if word about an impending Radeon HD 4890 X2 is true, then ATI might still have a say in the matter. Paper specifications suggest that this could be a close fight and to simulate a Radeon HD 4890 X2, we've a pair of Radeon HD 4890 cards in CrossFireX to do battle with a GeForce GTX 295.